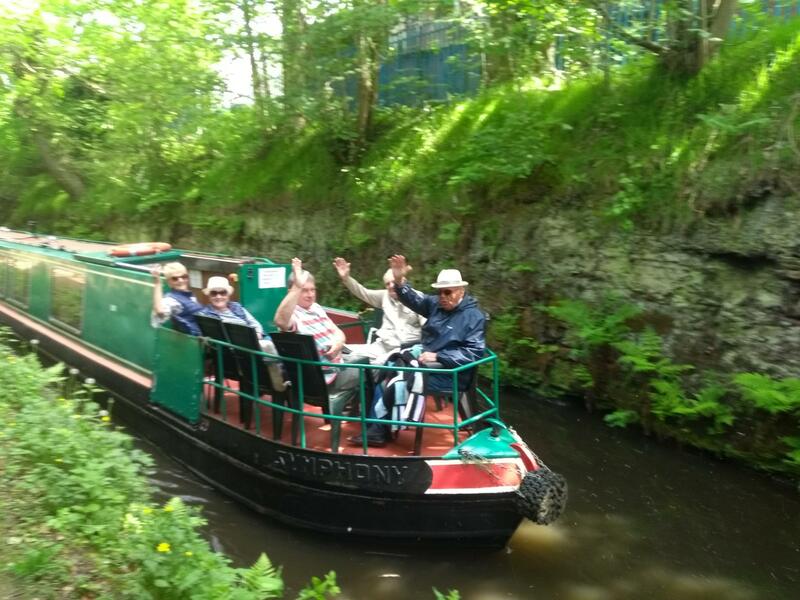 A wheelchair friendly boat providing day trips for all types of community groups. A minimum of two leaders is required with "all groups". A qualified skipper and crew member will manage the boat on every trip. The season usually runs from April until mid-October. 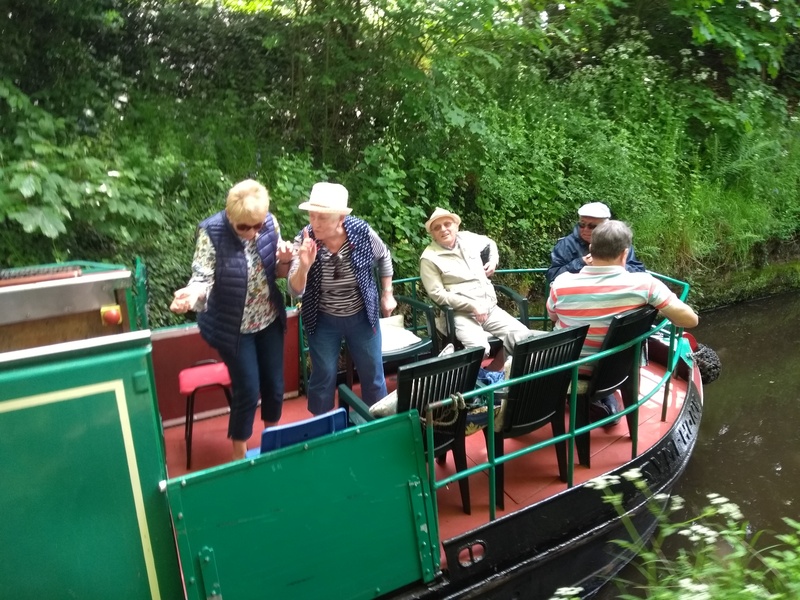 All trips start from and return to our operating base at Hatherton Marina, Calf Heath near Cannock on the Hatherton Branch of the Staffs & Worcester Canal. There is secure parking at the boatyard. marina and the canal then winds its way through countryside, passing farmland and woodland. It is very pretty. Trips usually start at 10.30am and last approx 5 hours including a lunch stop. 5. To Autherley Junction and back bring your own packed lunches - 5 1/2 Hours. Summer evening trips also available on request. The boat has a current Boat Safety Certificate. The skipper will carry a mobile phone in case of emergency. Group Leaders/Carers are asked to bring a mobile phone. Skippers and crew members are experienced, well trained and assessed. The skipper is responsible for the safe management of the boat. Please note: Group organisers are responsible for the safety of members of their group. There must be sufficient, competent helpers within your party of 12 to ensure that all passengers are safe and adequately supported at all times. This includes moving wheelchair users and giving any physical assistance passengers require with mobility. In some cases this may mean one to one support. A maximum of two wheelchair users may be carried on each trip. All other passengers must be able to ascend three steps in the unlikely event that an emergency evacuation of the boat becomes necessary. Risk assessments available on the website. The boat carries insurance with third party liability for up to £10m.